The most comprehensive Functional Medicine training available, Applying Functional Medicine in Clinical Practice (AFMCP), is now available in both in-person and online formats, making it even easier for clinicians to attend. AFMCP synthesizes the latest medical research with a model of care that integrates each patient’s individual history, genetics, and lifestyle factors. 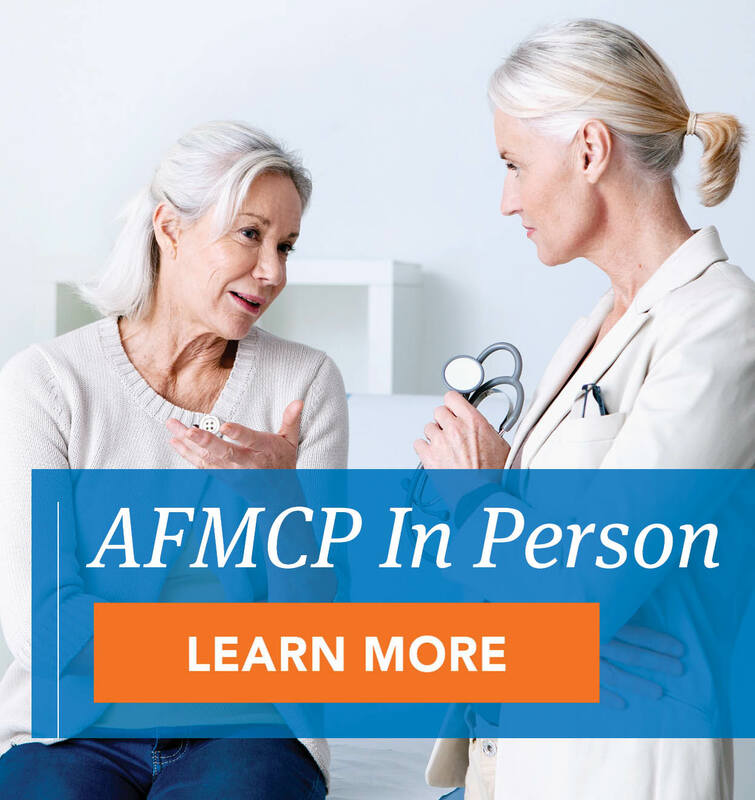 AFMCP equips clinicians to design effective, personalized treatment plans for each patient. Using case-studies, experienced Functional Medicine educators show learners how to apply IFM’s easy-to-use tools to improve outcomes for patients with chronic disease. How to utilize innovative and practical assessment tools to assess, diagnose, and treat patients from a Functional Medicine approach. The scientific basis for Functional Medicine principles and a systems approach to fundamental clinical imbalances. What is the tuition of the course and what does it include? The course is $2,850 for physicians (MD, DO, DC, and ND) and $2,330 for non-physicians ($500 discount already applied to tuition). A 10% discount applies for IFM members. A payment plan option is available for both courses. Tuition includes temporary access to IFM’s Toolkit (with more than 370 downloadable resources), course materials (presentation slides and audio and video recordings of presentations upon completion), and an opportunity to be added to IFM’s Find A Practitioner database (with IFM membership), among other benefits. Yes! With our online offering, you can now access the course at any time, from anywhere. 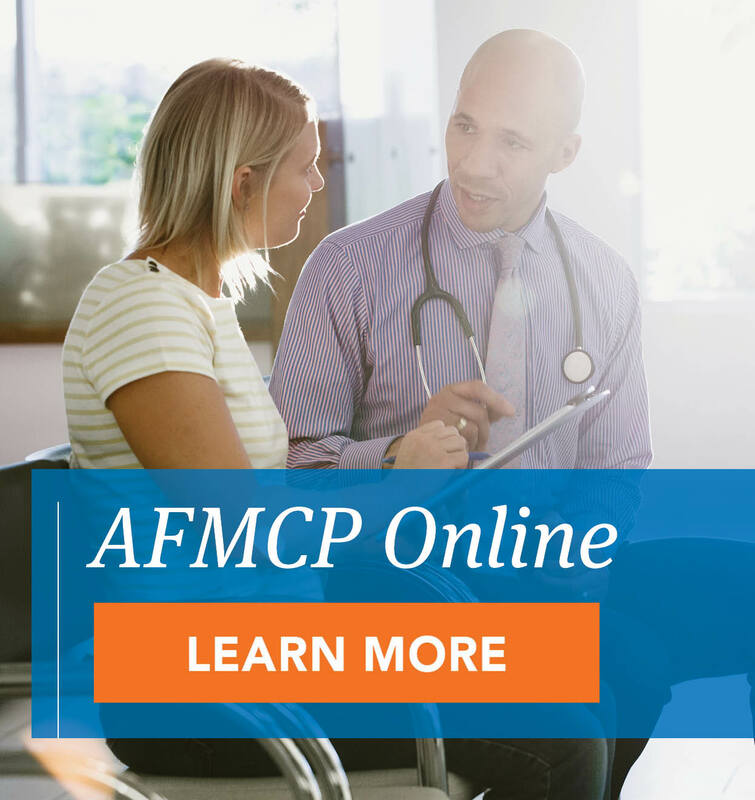 AFMCP Online contains 35 hours of interactive video and case-based activities. The course is divided into digestible segments, allowing participants to work through the content at their own pace within a 90-day timeframe. What CME am I able to claim? ACCME Accreditation Statement: The Institute for Functional Medicine is accredited by the Accreditation Council for Continuing Medical Education (ACCME) to provide continuing medical education for physicians. AMA Credit Designation Statement: The Institute for Functional Medicine designates this other activity (a semi-synchronous online cohort) for a maximum of 34.5 AMA PRA Category 1 Credit(s)™. Physicians should claim only the credit commensurate with the extent of their participation in the activity. Do I have to attend this conference before the other courses? No. You can attend AFMCP whenever you want; however, taking AFMCP as your first course will help you understand IFM’s proprietary tools, such as the Functional Medicine Matrix, and will provide context for the skills, processes, and science behind incorporating Functional Medicine principles into practice. The course is offered multiple times each year in order to meet the needs of clinicians wishing to begin their IFM education with AFMCP. However, AFMCP is not a prerequisite for taking any IFM course if you are comfortable with the material to be presented. Do I have to submit my application for the Certification Program before I attend? No. You can take AFMCP at any time, before or after you pay the certification fee. AFMCP will still count toward your certification if you pay the fee after you attend. Click here to learn more about the IFM certification process. IFM is not the CME provider for international programs.